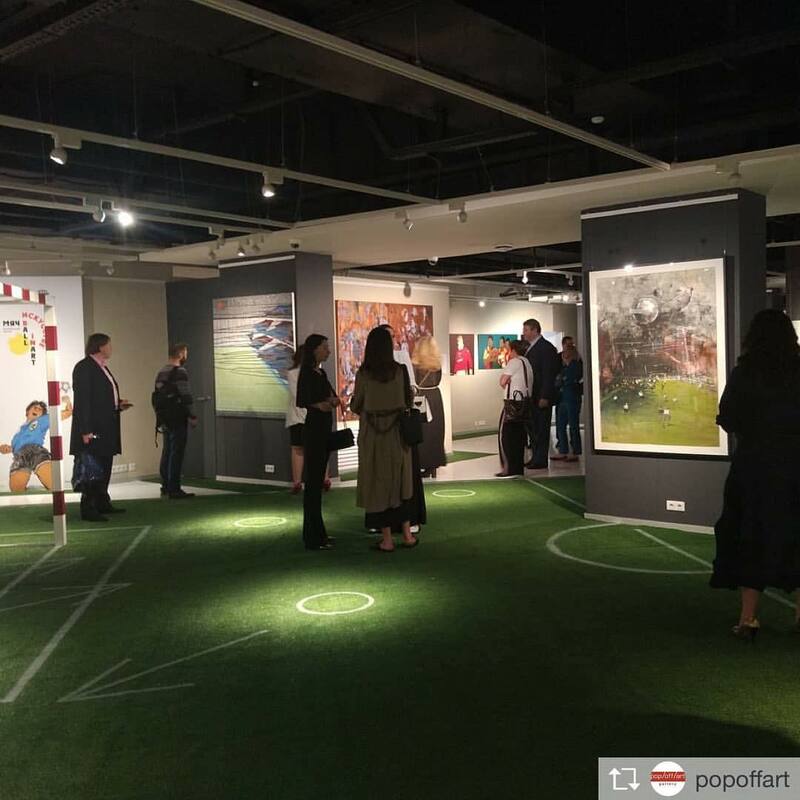 As this year’s World Cup opens in Russia, football themed group show opened in Moscow. 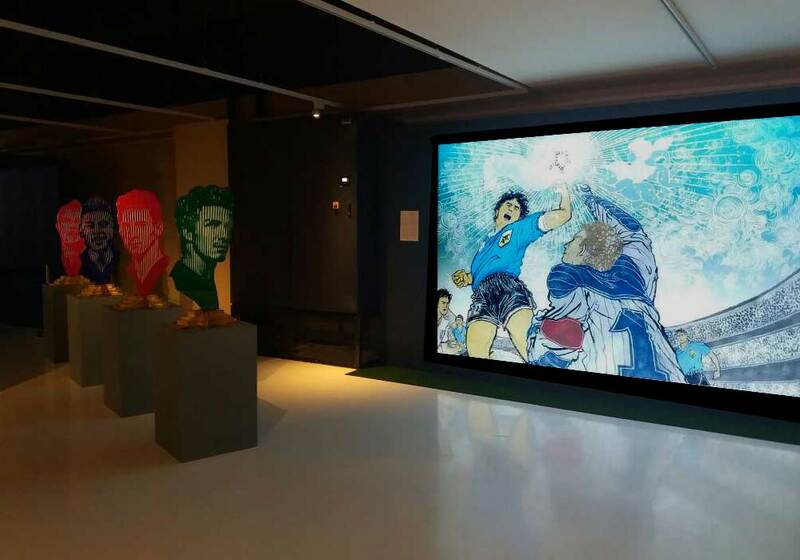 I am invited to be a part of Ball in Art, with huge blown up lightbox of two of Diego Maradona’s most famous and infamous goals from 1986 World Cup. The images were originally created for soccer magazine 8 by 8. 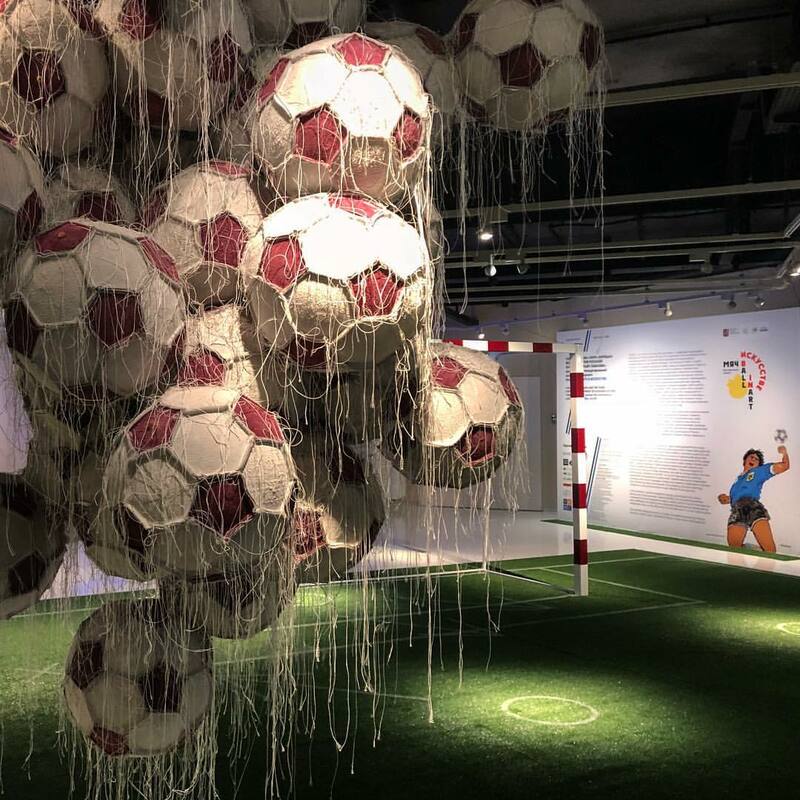 “Works by renowned contemporary artists paying tribute to soccer have been brought together in the Ball in Art exhibition, which was inaugurated here Wednesday on the eve of the 2018 World Cup kick-off in the Russian capital. 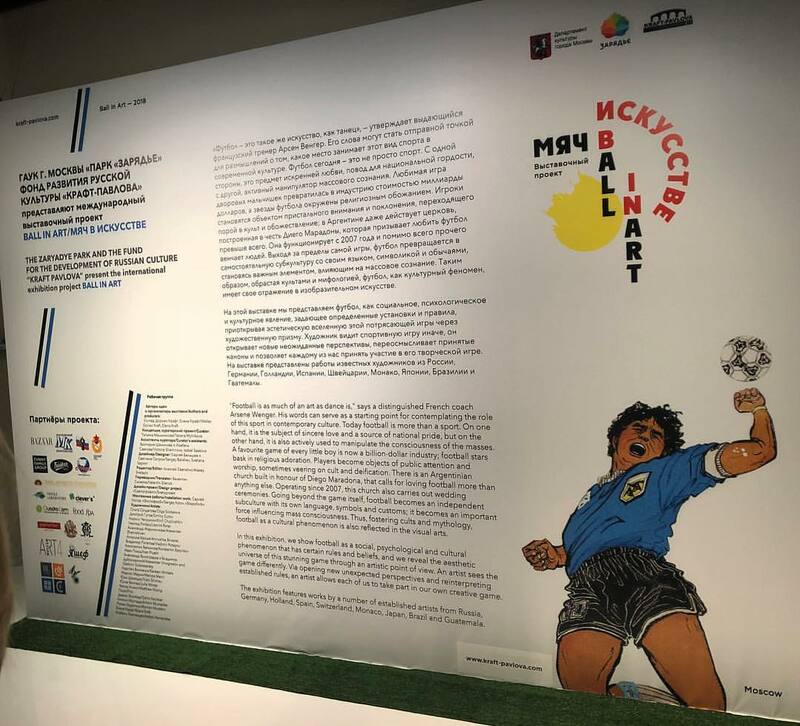 The exhibition at Zariadie park, near the Kremlin, brings together more than 60 works from 20 different artists, including pioneering Spanish video artist Antoni Muntadas. Three videos created by Muntadas are projected in a separate room in the 560-sq.-mt. (6,028 sq. ft.) facility that houses the exhibition. 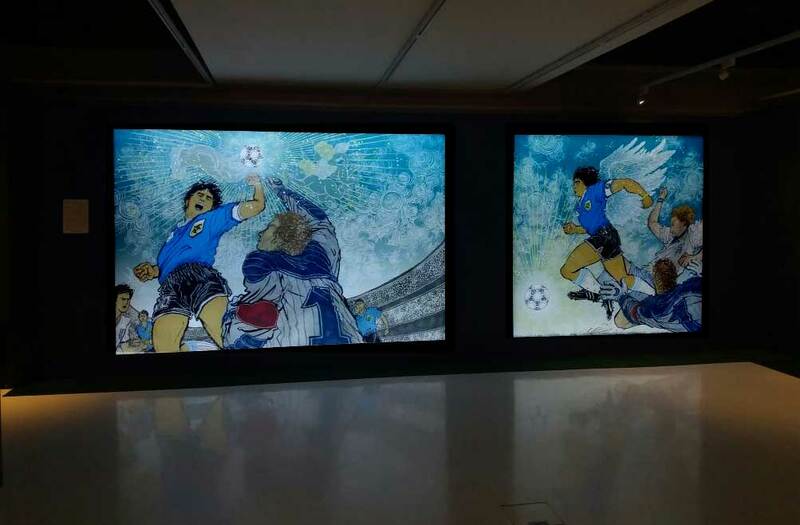 Ball in Art also brings together works by other renowned artists such as Dario Escobar, from Guatemala, Marcos Marin, from Brazil, and Japanese illustrator Yuko Shimizu, whose works pay tribute to the extraordinary goals scored by Argentine legend Diego Maradona. A light and sound concert by German artist Karsten Winkels will also be presented in Moscow during the World Cup.